Built in the 1890's by Cleveland oil pioneer Feargus B. Squire the castle has enchanted generations of Cleveland Metroparks visitors. The structure was only intended to be the gatekeepers lodge. It is said that Mrs Squire fell down into the cellar and got caght on some hanging ropes and broke her neck. We got many great pictures there. 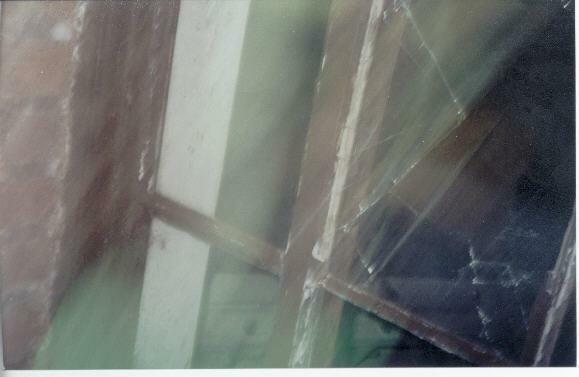 We even saw a red orb with our own eyes floating in the hunting room where she died. we also heard somebody scream in the distance. This house has benn abandond for quite awhile. Rumor has it that many years ago a man went crazy and killed his wife and two children inside the house. It is said the the children still wonder the house. I could'nt get inside Due to the doors being borded up but there were quite a few broken windows to poke the camera though. I only took half a role of film but i got some pretty good pics.In one of them people say the can seee the faces of the children but I don't see it. But what was really strange is the on a 80 degree day in the middle of July it was only about 50 degrees inside the house with all of the windows being broke and no air conditioning. Many people have tried living in this house but they all move out in a matter of weeks. 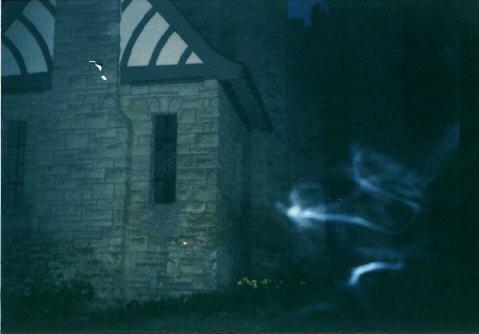 They complain of hearing childrens voices in the middle of the night along with other paranormal events.